Facebook is a social network that connects people with friends and others who work, study and live around them. People use Facebook to keep up with friends, family, and colleagues. Advertising on Facebook brings you powerful location, demographic and interest targeting allowing you to reach the right people. With more than a billion people on Facebook worldwide, marketing your jobs on Facebook to fans of your company is an easy way to engage qualified candidates. We also make it easy for people who view your jobs to share them with other people in their network. Also, we show them people in their network who may work for the company so that they can network with them directly about your jobs. 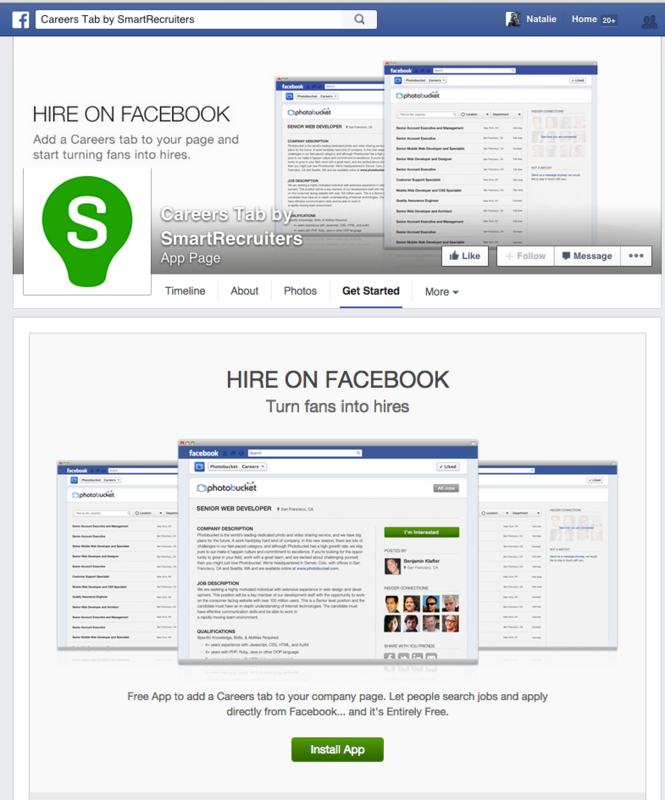 If you have a company page on Facebook, turn your fans into candidates for your jobs with our Facebook Careers App. This app creates a careers page on Facebook where jobs created in your SmartRecruiters account are automatically reflected on your company Facebook page. 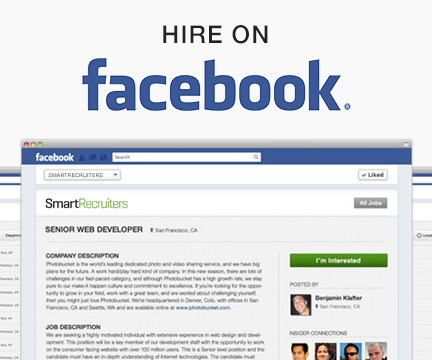 The $150 SmartRecruiters Facebook advertising package includes a $50 service fee for for creating and managing your ad campaign. Get Started today!